Last week, the Sensex had hit an all-time high of 36,548.41, while the broader Nifty also reclaimed the 11,000-mark, touching a high of 11,078.30. This was the highest closing since January 31, when it had ended at 11,027.70. Global investment bank Morgan Stanley sees the Sensex trading flat at around 36,000 by June 2019 if the general elections throw up a weak outcome, but cruising to 44,000 if the poll result is strong. "The domestic stocks are jostling weak emerging markets, rising rates, higher oil prices, an election year and relatively rich mid-cap valuations. The large-cap index has support from an improving growth cycle, strong macro stability and local appetite for equities," Morgan Stanley said in a weekend note. In a bear case scenario, which has a 50 per cent probability, the Sensex may trade at 36,000 by June 2019, which is under-16 times the one-year forward P/E, and below historical averages, the report warned and said in this scenario, earnings growth will be 5 per cent in FY18, 23 per cent in FY19 and 24 per cent in FY20. 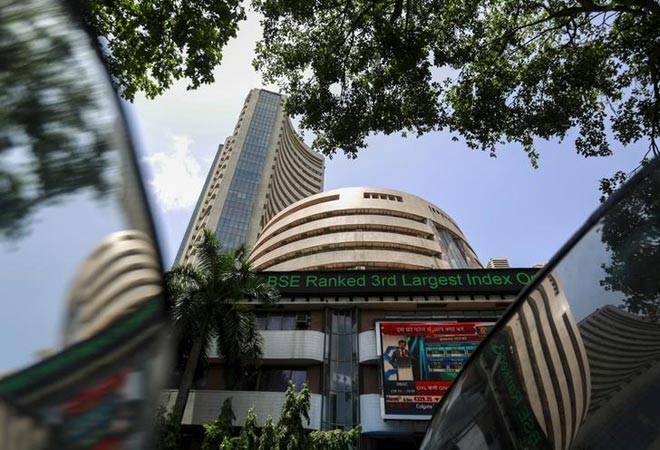 But in a bull case scenario, which has a probability of 30 per cent, the report sees the Sensex hitting the 44,000-level by June 2019, largely led by better-than-expected poll outcomes, most notably on policy and global factors. "The market starts believing in a strong election result as well, and the earnings growth will accelerate to 29 per cent in FY19 and 26 per cent in FY20," the report said. The nation would have a new Parliament by mid-May next year if the polls are held on time. Even though there are talks that the government may advance the polls to December-January. The report titled 'India Equity Strategy' highlighted six factors that are favouring the domestic markets and six which are against. billion a month are in a structural uptrend now. The factors working against the markets are rising crude prices, upward pressure on inflation from MSP hikes making sure that more rate hikes are coming, the election cycle, which brings its own set of uncertainties and relatively rich mid-cap valuations. The global investment bank prefers large caps over midcaps. On the sectoral front, it votes for private sector banks, rising discretionary spends, industrials and domestic materials, and keeps out healthcare, staples, utilities, global materials and energy.